In college, I was a triple major of Spanish, Anthropology, and Sociology, with most of my core and anthropology courses completed by the end of sophomore year. 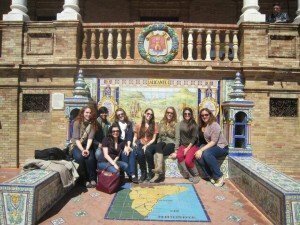 When I decided to study abroad, I knew I had to find a program that would allow me to advance my Spanish language skills, as well as provide sociology courses. 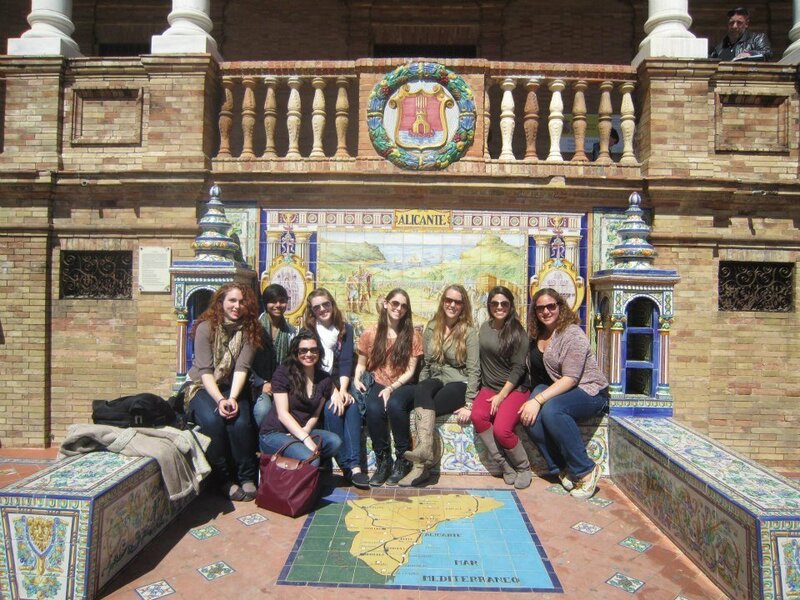 I had always wanted to go to Spain, and after I wrote out the details of each program, I realized that the Alicante program provided the most sociology classes for my sociology major. I also liked that it was a smaller program and city which would allow me to really immerse myself in the Spanish culture. I have been thinking about going to graduate school abroad, since it’s much cheaper than schools in America. However, I am not quite sure where I would go. I loved Spain and Italy, the two countries I studied abroad in, so those are at the top of my list. I really loved Germany and England as well, and wouldn’t mind attending a graduate school there. It really depends which country has the best program and school that works for the career I am pursuing. If I don’t go to graduate school abroad, I would still like to volunteer abroad someday, like joining the Peace Corps. I would like to check out countries other than Europe, such as South America. I would like to travel and live somewhere where I could use my Spanish language skills. I am really open to anything though because I know I will make the most of wherever I go. These questions are always so hard to answer when you loved pretty much everything about studying abroad! Some highlights include the incredible and unique food, the diverse art and architecture, the vast history of older cities, the laid back lifestyle of many cultures, and the ability to travel and explore anywhere at any time. I also loved encountering new people and ideas which allowed me to grow as an individual and understand which things in life are truly important to me. I loved how easy it was to jet off to a new city or country for the weekend with friends, making the most of those days in that new place to learn and try everything it has to offer. 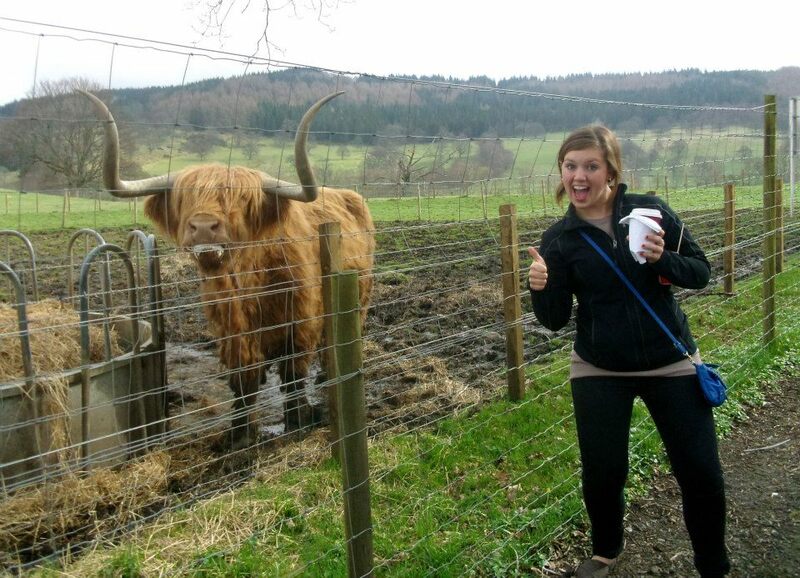 There was never a dull moment during my time abroad. There are numerous benefits of studying abroad that myself and other study abroad participants gained during their experiences. Some of the major benefits include increased self-confidence, independence, better understanding of your values and life goals, new global perspective, cultural maturity, better interpersonal skills, developed language skills, and expanded interests in different topics. The list goes on and on! During my year abroad, I was able to travel to 15 different countries and over 50 cities in Europe and Africa. I was able to try incredible new food, meet interesting people, encounter ancient and famous sites, learn new ideas and languages, and experience different cultures, many of these only being things I read about in books or learned in the classroom. I road camels in Africa, visited the Parthenon in Athens, went to the top of the Eiffel Tower, rode bikes around Barcelona, experienced Oktoberfest in Germany, celebrated Thanksgiving in London, and explored ancient castles in Ireland. Living in the beautiful city of Rome allowed me to discover ancient civilizations and the Italian language and culture. Spain allowed me to immerse myself in the Spanish culture by living with a host family. Living with them helped me realize what was really important in life, sometimes different from American values. Five months in Spain advanced my knowledge of the Spanish language and culture than the nine years of schooling did. Studying abroad really demystified a lot of preconceived ideas and fears I had about the world and other people, something that, unfortunately, many people will never get to experience. 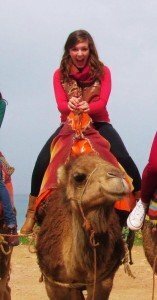 I had numerous funny cultural experiences during my time abroad. Anywhere I went, I tried to learn some of the basic words of that country’s language. It was always hysterical when I tried to converse with the locals, for they always found my pronunciation to be ridiculous. Nonetheless, they appreciated that I tried to speak their language and learn their culture. Many times the locals would sit down with me for a bite to eat and we would teach each other special words and phrases. My host family and I did this all the time. It was always funny when I would try to use Spanish words that I learned in school that had completely different meanings to them. I was taught to call all men, regardless of age, as “señor.” However, in the Spanish language, “Señor” actually means “old men” to the Spaniards. My host family always found it hilarious that at first I would call everyone an old person, even little children. I learned a lot about myself during my time abroad, but mostly I learned that I really am a very open minded person and I crave adventure and something new. I was always the first to volunteer to do something, whether it was to try a new food and go somewhere different. I learned that I am very laid back when it comes to a lot of things as well. There were some challenges along the way during my time abroad, but I learned how to adapt quickly and go with the flow. I was always willing to do new things and not become upset if something doesn’t go perfect. I think it made a better person in that I understand what things in life are most important, such as my family, friends, and good health I have also become more self-confident and independent, as well as globally conscious. 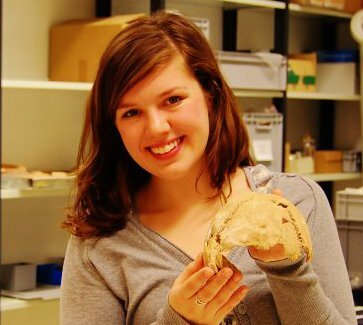 Studying abroad also helped me figure out what career I would like to pursue someday, which has to do with studying abroad and higher education! 9.What’s one thing you would have done differently? Although I love Europe and had a great time during my year abroad there, I wish I had spent one semester in either Asia or South America. I think it would have been a very different experience that would have allowed me to grow even more as an individual. It would have introduced me to other cultures and landscapes that may be extremely different from what I am accustomed to. 10. 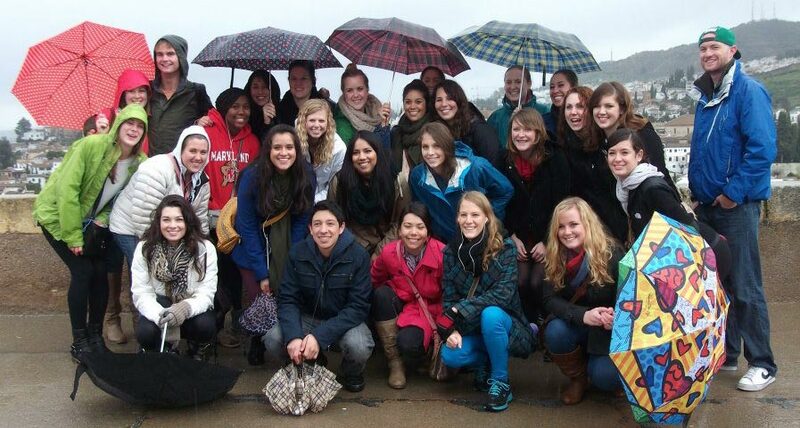 Now that you’re home, how do you see the impact of study abroad on your life? 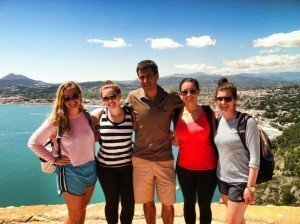 I have seen the impacts of studying abroad on almost every aspect of my life, such as my personal development, academic interests, and career goals. I am more interested in exploring the world and different ideas and cultures. I am more confident, open-minded, and independent. My interests have expanded outside of what I studied in college and my American past times. I now want to have an international career someday, and I want to continue traveling for pleasure. 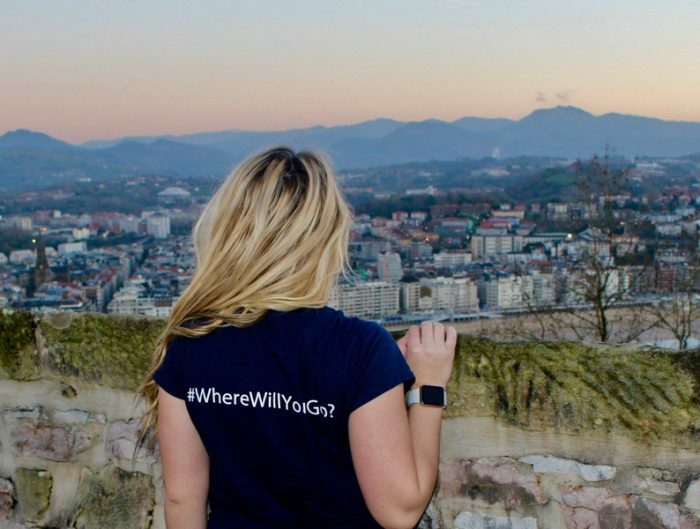 I also think studying abroad enabled me to connect with people better now, and I know what’s truly important to me and what I want out of life. It only took me four years to graduate, and that was with three majors, a minor, and a whole year abroad! 12. 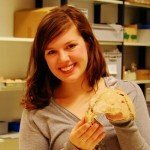 What, in your opinion, are the biggest myths students believe about studying abroad? Students always think it’s incredibly expensive to study abroad. Myself, however, and many of my friends found it cheaper to study abroad than to stay at our home universities. We were able to use the money we saved by going abroad to travel, explore, and learn, activities that I found more beneficial to becoming a holistic individual than staying inside the classroom at my home university. Many study abroad programs are much cheaper than American universities tuition, and there are tons of scholarships available to make your study abroad trip affordable. 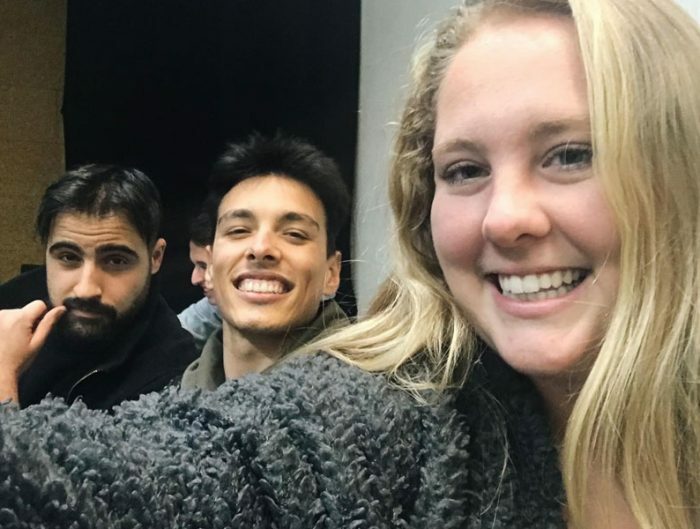 Students also think they are going to miss out on things back home and that things will drastically change while they are abroad. Sure, some things will change and you will miss your friends and family. But from my own experience and what other study abroad participants have said, you are so busy having the best time of your life abroad that you learn not to dwell on what’s going on back home. Generally, your friends and family stay the same, and only little things will change, like the top hits on the radio or new movies. But when you are strolling the streets of Italy or climbing to the Acropolis in Greece, you learn to enjoy the opportunities you have and that things will be the same when you come back. Students learn to take advantage of what they are experiencing now, for many people never get this opportunity. 13. What advice would you have for students trying to decide whether or not to study abroad? JUST DO IT! It is an experience you will never regret. Many people never get the opportunity to live somewhere different and immerse themselves in a different culture. During college is the best time to travel and study abroad before real world responsibilities begin. 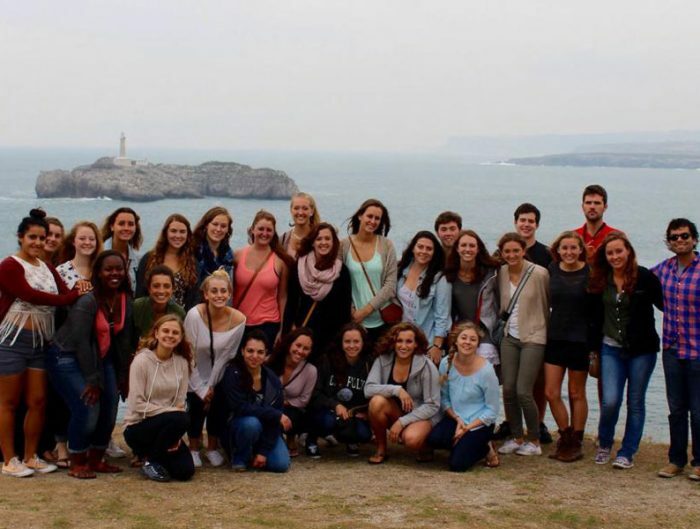 Studying abroad makes you a better person and really shows you what is important in life. Not studying abroad is one of the biggest regrets of many college graduates- don’t have the same regret!